Our Pets of the Week are Tommy, a shy, 2-year-old cat, and Roscoe, a 4-year-old cattle dog mix. Tommy is a little reserved when he first meets you, but he is very sweet and inquisitive. Roscoe loves people and long walks, and while he gets along with other dogs, he would be best in a cat-free house where he is the only dog. For more information on either Tommy or Roscoe, as well as other pets, go to http://www.ny-petrescue.org. There are two new classes for LMCTV members, which will be held at our new studio in the Town Center: “Editing Your Footage” on Tuesday, April 24 at 4:30 p.m., and “Reporter’s Boot Camp” on Saturday, April 28 at 12 p.m.
On Friday, April 20, LMCTV held a ribbon-cutting ceremony for our new studio which is located at the Town Center, Suite 302, at 740 W. Boston Post Road. On Saturday, April 21, the village of Mamaroneck hosted its 10th annual “Clean and Green Day.” The event, held at Harbor Island Park, also provided residents with an opportunity to leave comments and suggestions on the upcoming changes to the village’s comprehensive plan. For more information regarding the event, go to http://www.mamaroneckgreen.org. In our Around Town segment, News Director Sibylla Chipaziwa spoke with Laura Rosenthal, the president of Friends of Larchmont Parks, about their upcoming Love Your Park Day on Saturday, April 28 starting at 9 a.m. at various parks and green spaces in the village. On Tuesday, April 24, there will be a special election that will fill the New York State Senate seat that was vacated by now Westchester County Executive George Latimer. The two candidates are Julie Killian, a Republican from Rye, and New York state Assemblywoman Shelley Mayer, a Democrat. Mike Witsch spoke with both candidates in our Round Table discussion. In the LMC Varsity Sports Play of the Week, the Mamaroneck boys lacrosse team played against the Rye High School team. The Rye Garnets proved to be a tough opponent. Mamaroneck senior Colin Lavan scored before the end of the first half that brought the Tigers within a goal. The Tigers would end up losing the game by a score of 12-5, giving them a 7-2 season record. Due to current over-development issues in the village of Mamaroneck, the village Board of Trustees voted on April 19 for a moratorium that would establish a six-month hold on any new large-scale residential construction. The law is intended to help address ongoing issues of school overcrowding and traffic congestion. The moratorium, submitted by village of Mamaroneck Mayor Tom Murphy, is similar to one that was instituted by the village of Larchmont in 2016, in which time would be provided to review as well as revise local zoning laws. The Mamaroneck Board of Education unanimously adopted the 2018-2019 budget on April 17. The budget, which is about $139 million, will include adding staff due to the increase of student enrollment. It will also expand class-size limits at Mamaroneck Avenue Elementary School in grades two to five in an effort to match the rest of the district. The budget carries a 3.97% tax levy increase, which is above the state imposed tax cap. In order to go into effect, the budget must receive a 60% or supermajority approval in the May 15 public vote. 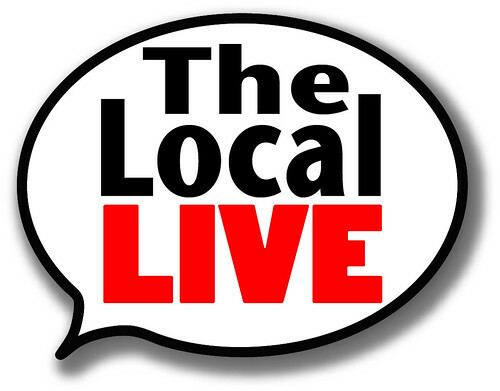 Mamaroneck Schools Superintendent Dr. Robert Shaps will be on next week’s episode of The Local Live. If you have questions for him regarding the budget or any other school-related issue, email The Local Live at thelocallive@lmctv.org.